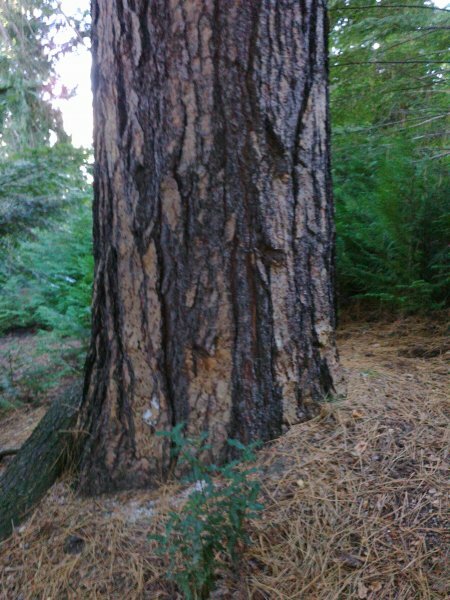 A fine tree beside the track on the walk up Conifer Hill (Cadwallader 2012). 06 May 2012 Cadwallader, B.G. Located closely behind a grand fir 80 metres from the gate at the start of the track up Conical Hill.